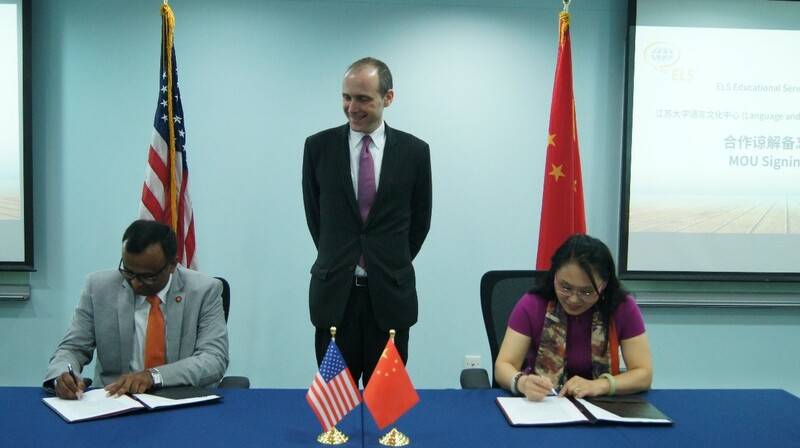 While the industry is currently facing a difficult time, this event marks the beginning of a strategic relationship with a highly reputable university in China. This further expands the ELS global footprint, with an ELS Language Center is scheduled to open in 2017. As a comprehensive teaching and research university in China, Jiangsu enrolls over 33,000 full-time students, over 800 of which are international students from 74 countries. The university has over 24 schools, and offers 88 undergraduate programs in 10 academic fields as well as 42 doctoral programs. Jiangsu University has over 2,400 faculty members, 450 of which are professors. 54% of Jiangsu professors hold a Ph.D. in their field.